Something lively happens when a living room is recreated as a movie or music retreat. It can feel like the center of things, once you add a new sound system. And would you know, your TV’s audio is easily upgraded with a soundbar? These can substitute for the signaling and switching functions of conventional audio receivers in many cases. Although their performance cannot rival that of full-blown home theater systems, they do provide immersive experiences in apartments and other small spaces. 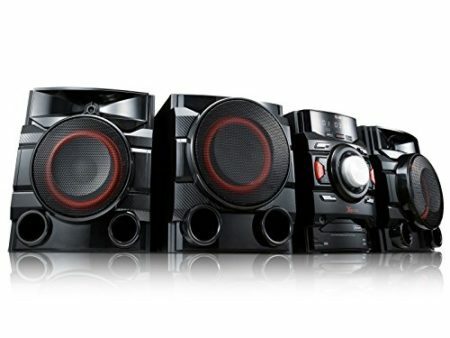 A surround-sound system is what a musical enthusiast needs in order to enable all entertainment sources. This classic setup acts as the main hub of players and wired multichannel speakers placed all around your entertainment room. Simpler stereo systems can be pleasing minimalist options for when you want your speakers, players, and consoles clustered only around the main TV. Newer smart wireless systems simplify installation, media library management, and playback using single networked hubs that can scale to fit larger homes. One thing has not changed: let your ears decide. To get the most value for your money, invest in the best speakers you can afford. Dedicated receivers with their fuller integrated capabilities usually provide better performance, input options, and flexibility overall. These have become powerful hubs offering a host of connections and sources, including wireless such as Bluetooth, Wi-Fi, file media and internet streaming playback, and so on. Customized smart remotes and home automation systems have evolved to control the rising complexity, including command remotes and touchscreen interfaces on phones. However, smart wireless media hubs from brands like Bose and SONOS have integrated most of these control capabilities into simple and unified interfaces, removing the need for traditional receivers and their complex control schemes. Sound bars are popular upgrades to existing desktop and TV speakers and offer convenient installation. A variety of affordable models are available from no-name as well as established brands like Nakamichi, including single sound bars, versions with separate wireless subwoofers and surround-sound speakers, and pedestal-type sound bases that fit atop receiver. All incorporate multiple individually-tuned drivers and integrated subwoofers for clearer and smoother sound and deeper bass. Typical single bars are better suited for fronting large TVs, while sound bases are fine for supporting compact screens. The many modes, source, and input options of high-end receivers can be a challenge to install and learn. Newer one-piece wireless systems from the likes of Bose and Sonos are much easier to use. Extra units can be readily added to turn your home into one large concert space. Bose’s system connects via Wi-Fi or Bluetooth to your mobiles. Using the app, you can stream music from your mobile music library and also streaming media/radio services, such as Spotify, Pandora, and SiriusXM. With Sonos, track playback is via apps as Bluetooth and Airplay connections are absent. A variety of streaming services such as Google Play Music and Spotify are available, though. These systems work great if you only want a simplified but futuristic way of accessing your local library and cloud media. For a system that will perform the best, arrange your own with capable Audio/Video receivers and multiple speakers that you pick yourself. Fancy surround-sound setups do have a pricey reputation, with elaborate AV receivers that can be daunting to use. But it does not have to be so if you choose smartly. 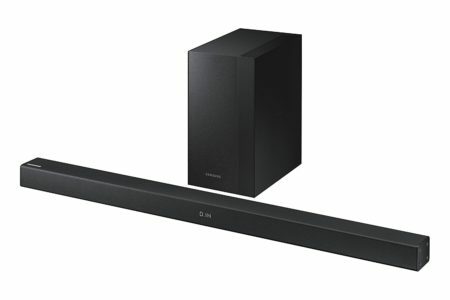 Standard features these days include 5.1 channel output for four side drivers, a center-channel speaker, and a subwoofer to cover an entire room. Better AV Receivers feature up to six HDMI ports that are good for displaying 4K Ultra-HD wired video. Advanced models from Sony and Yamaha offer plentiful analog and digital/optical inputs. The most future-proof versions offer Bluetooth and Wi-Fi music and video streaming. Regular stereo setups used to comprise a basic 2.1 receiver and a dual bookshelf or tower speakers. The popularity of surround-sound gigs has somewhat displaced this concept somewhat. That said, a small integrated amp with two dynamic channels plus sub output can still be great for music listening and even movie watching. It may lack the additional immersion that fancier rear surrounds can bring, but then not too many wires will be strung around, either. The best stereo setups can musically outperform more complex AV models without costing more, all while sounding nicer than most sound bars. Look for receivers that offer integrated Bluetooth and Wi-Fi connectivity via AirPlay and Chromecast. Your music and even videos will stream with wireless fidelity practically the equal of wired schemes. Wi-Fi is faster and typically more dependable than Bluetooth. However, there is no single standard as yet, so it can be tricky at first to figure out your best options here. If you listen to music on your mobile as you attend to everyday tasks, you already know that Wi-Fi and Bluetooth connections let you easily swap among sources. Aside from standard composite Aux and digital inputs to get amps and older players hooked in, SD card and USB ports for flash drives let you keep your playlists locally available at all times. An AM/FM tuner is also great for bringing the newest crowd-pleasing songs. Too many sound bars have only one digital/analog inputs. This is no good if your living room has a host of Blu-ray, DAB set-top, and streamer boxes as well as generations of gaming consoles. You can overcome this by using your TV to switch between as many devices as it supports, which also makes on-screen source selection the easy default. Compression influences local streaming/playback performance, tailoring and delivering media in the quality you demand. MP3 and AAC playback is everywhere under the sun, but enthusiasts will explore higher-quality lossless formats such as FLAC and OGG. Slower Bluetooth links particularly benefit from efficient aptX streaming. Apple phones lack the protocol, although they perform similarly with AAC processing. All consumer video these days use HDMI connections, but more flexible sound bars and receivers also enable 4K Ultra HD pass-through and handle Dolby Digital and TrueHD streams. Digital-audio ports will let you redirect your feeds to external DAC modules that render enhanced musical quality. Seek a trade-off between features and cost by setting your basic requirements. A minimal setup will comprise one sound bar or dual front speakers. Five discrete side and front speakers plus a powered subwoofer is typical for decent surround-sound. Among so many options, there is surely an affordable model that can provide all you need for convenient and enjoyable listening and be viewing around the home. We advise you to test the various systems while listening to your musical favorites, to discover for yourself how they actually differ in audio quality and usage.